The FBI has quickly denied reports that a Chinese company hacked Hillary Clinton’s private email server. 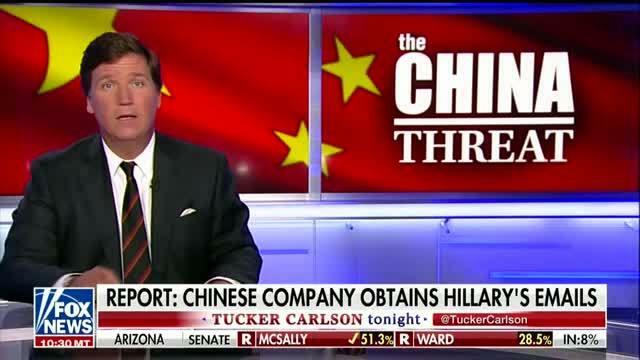 Fox News picked up <a href="http://dailycaller.com/2018/08/27/china-hacked-clinton-server/">the original report</a> from the Daily Caller. An FBI spokesman told NBC News, "The FBI has not found any evidence the (Clinton) servers were compromised.” He cited a July report from the Department of Justice's inspector general which reviewed the FBI investigation of Clinton's use of a private email server. A forensic analyst is quoted in the inspector general's report as telling Department of Justice investigators he was "fairly confident" Clinton's personal server had not been compromised. Clinton's private email server was a contentious issue in her bid for president in 2016. She became the subject of a high-profile FBI investigation spearheaded by the agency's former director, James Comey. The FBI eventually cleared Clinton of wrongdoing but described her handling of official emails on private accounts "extremely careless." Comey was fired and wrote a book. When will we see a Hillary Investigation and Special Investigator? We need to settle this mess now.